Part of Tekken's "Arcade History" mode. Port of the arcade version. At the time, one play was 100 yen (a little over a dollar) so that is the quality bar to keep in mind for customer satisfaction. So we thought players would get quite angry if they had to pay that much to play such a character, and we gave up on that character. That kind of character might be OK in a console version, but not for the arcade. There's also 'INSECT' data buried deep in the ROM. That's another idea we had at the time. The idea was for an insect... a giant praying mantis! 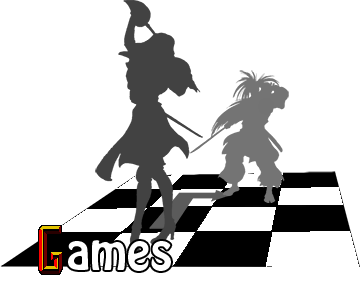 The idea resulted from a bug in the program in which all the characters arms, legs, and waists were extremely thin and they looked like a praying mantis. It was actually quite interesting so we thought of maybe basing a character on that and calling it 'INSECT'. However, we had a lot of new characters like Jin, Xiaoyu, Eddy, and Hwoarang to work on so we didn't have the resources and had to give up on the idea." 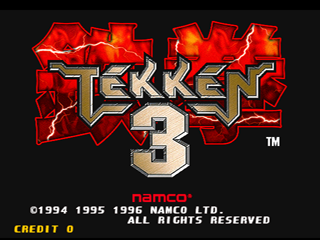 "Sake"'s in-game data can (sort of) be accessed in the PS1 version of Tekken 3 with a cheat device; it uses Yoshimitsu's character model and Jin Kazama's moves. 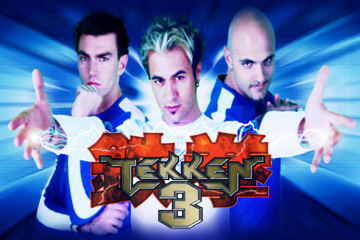 Tekken 3 can be heard in My Console, a song made by the Italian group Eiffel 65.